You Dont Need To Be A Celebrity To Afford Expert Personal Training, Call Us Today. Celebrity Personal Trainer Elmore McConnell has been producing Hot Bodies for over 11 Years. He not only works with Celebrities but, CEO’s, Executives, Local Business Owners and normal hard working day to day people just like you! 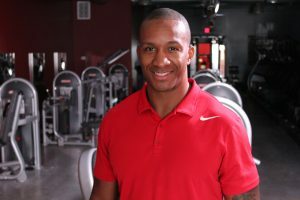 If you think your schedule is crazy and you’re just too busy well Celebrity Trainer Elmore schedule is Super Flexible and he also does In-Home Personal Training. This Celebrity Personal Trainer has an Exercise Science Degree which helps him to deliver better results in shorter periods of time. Our Company has a Money Back Guarantee so you have know to lose. Except for some unwanted fat and sweat!